Who is up for optimizing a new $28B supply chain? When 3G Capital Partners announced that their Heinz unit will acquire Kraft, the internet piled the “ketchup on your mac and cheese” reaction higher than the mountain of estimated $49 billion that 3G will use to buy Kraft. But the immediate response from mainstream human beings was two-fold – 1) How many people are going to lose their jobs? And 2) How does this affect me? Probably many and probably not appreciably. Why “probably many”? Because – in any merger or acquisition – the newly formed company will find redundancies. Shared services functions – accounts payable, human resources, etc. – will find that there’s someone from the other company that does their same job. So, as sad as that reality is, many people will lose their jobs. Now, it’s going to take some time to figure out how many and who exactly – so there’s a chance that natural attrition (retirements, folks leaving of their own accord) will account for a part of that. And also “probably many” because… 3G Capital uses a zero-based budgeting process that compels managers to justify their spending needs (starting at zero and accounting for each expense) every year – instead of tweaking last year’s budget. Experience tells us that this kind of rigorous budgeting has grounded corporate jets, curtailed color copying and sent middle managers packing. And why “probably not appreciably”? Because if you weren’t dressing your mac and cheese with ketchup before the acquisition, you’re not going to have start doing it now. Some labels and logos will change. But to most consumers, the acquisition will be meaningless. But supply chain. Oh, supply chain – you’re really what makes this thing work for 3G. (And any company involved in merger and acquisition activity.) 3G is spending about $49 billion to create a $28 billion dollar company. They’re going to look for savings under every Cool Whip lid. One of the biggest savings opportunities is in supply chain. I’m guessing that a company with $28 billion in revenue has about $5 billion in actionable spend. Actionable means you can do something about it. Taxes, payroll and things like that – that’s not actionable (for the most part). But Kraft-Heinz can go after that $5 billion. If they think they can get 10% immediate “low hanging fruit” savings, that’s $500,000,000 savings in the first year. Indirect spend is the lowest-hanging fruit here. Office supplies, security services, travel, food vendors, MRO, and so on – beware. You might want to figure out what competitive advantage you have over others in your field, especially their other current suppliers. And since Heinz and Kraft are in similar industries, packaging suppliers, distributors, freight forwarders, ad agencies, contract manufacturers – you’re on the block, too. Remember that agreement you signed with Heinz or Kraft? You were so thrilled to become one of those suppliers that you executed the agreement while it was still in the printer. Might want to find it and check out the Termination clause. Can the other party (Heinz or Kraft) terminate without cause? If so, those are the agreements they’re going to look at first. The easiest ones to chop. Again, start making your list of why you should remain on their new consolidated approved supplier list. Price reductions will be the first thing they’ll look for. A track record of high quality and on-time delivery helps. But they also might look for concessions like longer payment terms (net 90 or net 120), consigned inventory and slow-moving or excess inventory returns. 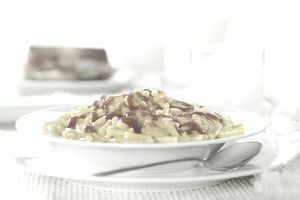 So, yes, the “ketchup on your mac and cheese” jokes will fade away – but for those of you in the Kraft-Heinz supply chain, the hard work (and hand-wringing) is just starting. Any organization wants its supply chain to deliver what their customer wants, when their customer wants it - and do that in a way that spends as little money as possible. When your baseline actionable spend is $5 billion, there's a lot of work to do.